The series premiere of the new drama The Family will air with a special premiere on THURSDAY, MARCH 3 9|8c, with a second, all-new episode on SUNDAY, MARCH 6 9|8c, its regular time period on ABC. ABC's new thriller follows the return of a politician’s young son who was presumed dead after disappearing over a decade earlier. As the mysterious young man is welcomed back into his family, suspicions emerge—is he really who he says he is? The new drama series The Family stars Joan Allen, Alison Pill, Madeleine Arthur and more. 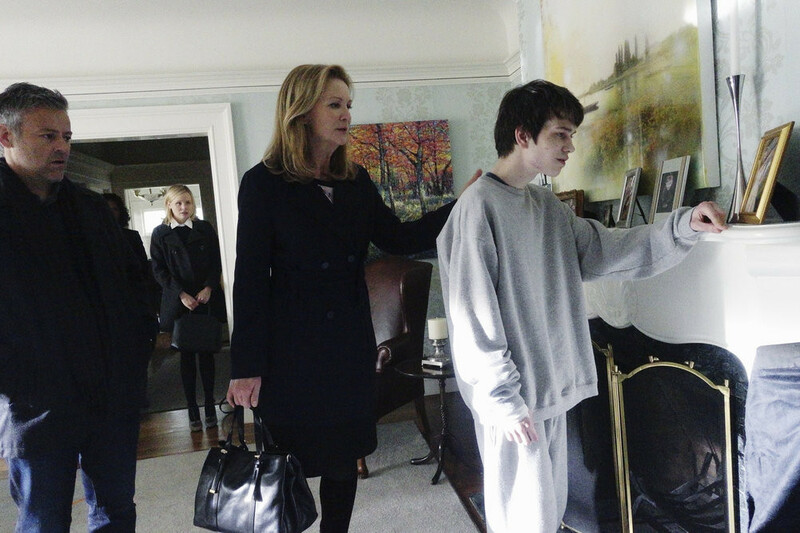 ABC's new series The Family stars Joan Allen as Claire, Alison Pill as Willa, Margot Bingham as Sergeant Nina Meyer, Zach Gilford as Danny, Liam James as Adam, Floriana Lima as Bridey, Madeleine Arthur as Young Willa, Rarmian Newton as Young Danny, Rupert Graves as John and Andrew McCarthy as Hank. The Family was written by Jenna Bans. Executive producers are Jenna Bans and Mandeville Television’s Todd Lieberman, David Hoberman and Laurie Zaks. The Family is produced by ABC Studios. Be sure to follow "The Family" on Facebook, Instagram, and Twitter.